Daemen’s Physical Therapy program allows students the opportunity to earn a Bachelor’s degree in Natural Science and a Doctor of Physical Therapy degree in 6 years. 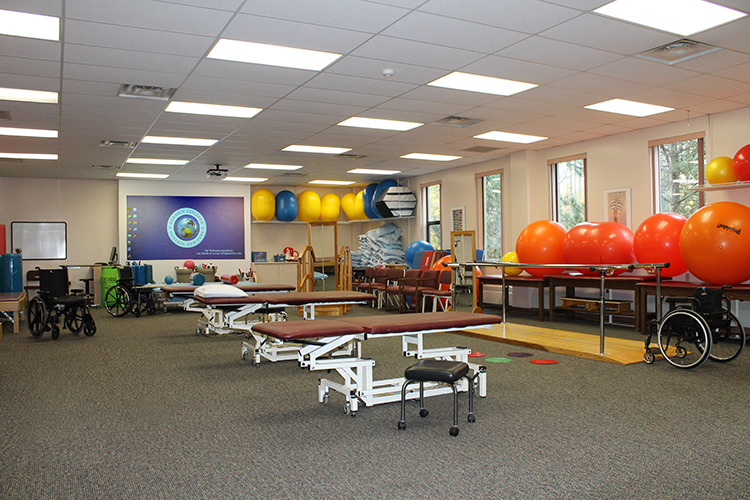 First-year students enrolled as a Physical Therapy major (B.S., NS/D.P.T.) are guaranteed admission to the professional phase of the program, provided they achieve academic standards and departmental requirements. Our physical therapy program has maintained continuous accreditation by the Commission on Accreditation in Physical Therapy Education since its beginning in 1974, with first-time pass rates on the National Physical Therapy Examination (NPTE) at or above both New York state and national averages. 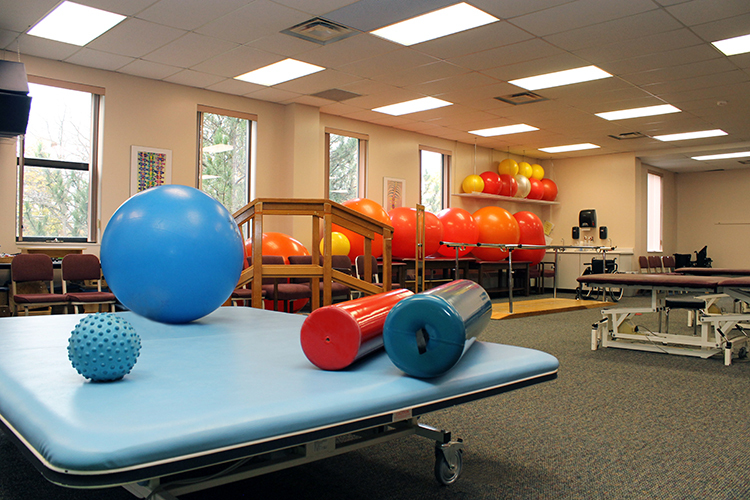 First-year students enrolled as a Physical Therapy major (B.S., NS/D.P.T.) are guaranteed admission to the professional phase of the program, provided they achieve academic standards and departmental requirements--promoting collaboration among students and immediate exposure to the team-based approach of physical therapy. Students have access to a variety of clinical experiences in the Buffalo area as well as nationally and internationally—at over 500 clinical sites. Students are trained by experts in the field. All core faculty teach, practice, and conduct research in their area of specialty, including orthopedics, pediatrics, geriatrics, tissue mechanics, sports medicine, vestibular, and wound healing. Students engage in faculty-mentored clinical-based research for over a year which culminates in a poster presentation at Academic Festival and a platform presentation at a Research Symposium. The Doctor of Physical Therapy Program offers the first professional degree and prepares students to sit for the licensure examination and enter the profession of physical therapy as a new graduate. In the first three years, students take Daemen’s core curriculum along with physical therapy related courses to prepare them for the professional phase of the program. For the last three years, students take the traditional hands-on professional phase courses. At the end of the fourth year, students earn a Bachelor of Science in Natural Science with a Health Science Specialization and a minor in Biology. Students will continue on for two additional years and earn their Doctor in Physical Therapy. Students may apply to the Bachelor of Science in Natural Science/Doctor of Physical Therapy (B.S., NS/D.P.T.) program as freshmen or transfers. Jason Schrader is a fifth-year student in the physical therapy program. Jason recently completed his first clinical rotation at Glover Physical Therapy and Pain Rehabilitation in an outpatient orthopedic setting. In his first week, he began evaluating patients under the supervision of a clinical instructor. Jason is in his second semester of a year-long research sequence where he is conducting research on variables that predict success on the physical therapy boards. This research will help strengthen the program’s accreditation. Jason is heavily involved on campus. He’s a teaching assistant for PT 516: Musculoskeletal Rehabilitation, a member of the Student Physical Therapy Association, and contributes to the YALT Program where he works with students with developmental disabilities.